J.T. Martin Fire & Safety, Inc. services the North-Central West Virginia area with their fire-suppression system needs. 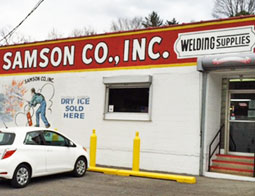 We specialize in installation, service, maintenance, and training. With nearly 45 years in the fire-suppression business, we pride ourselves on sales and service and look forward to serving your business. We provide a wide variety of fire protection solutions to protect your restaurant, business, server room, heavy equipment, mining equipment and paint booth. J.T. 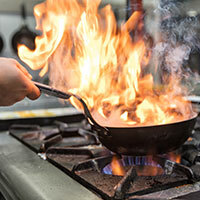 Martin Fire & Safety keeps your employees and investment safe with Commercial Kitchen Fire Suppression Systems. We can install, inspect, and repair your kitchen fire suppression systems. We also provide Kitchen Hood Cleaning services. Total portable fire extinguisher sales, service, hydrostatic testing and recharging are among some of the many fire extinguisher services we provide. 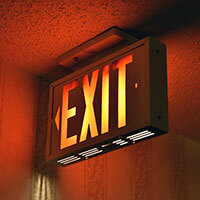 Has your emergency lighting been tested? Will your lighting work in an emergency? With our emergency lighting inspection, you can be certain your emergency lights are working properly. We provide annual OSHA-required mandatory training courses in compliance with CFR 1910.157(g). Fulfill the requirement and get hands on experience today. 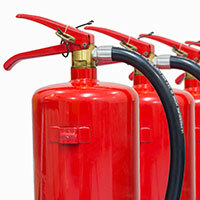 We can help you with all your fire protection needs. 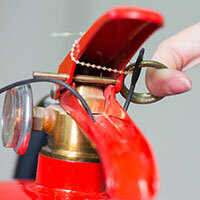 We handle everything from inspections to installation on fire protection equipment. We are also able to train you and your staff on how to properly use fire extinguishers by providing on-site hands-on fire extinguisher training. For a list of all of our services and products please visit our products page. You can also reach us at 1.800.964.2128 with any questions. We hope to hear from you soon!